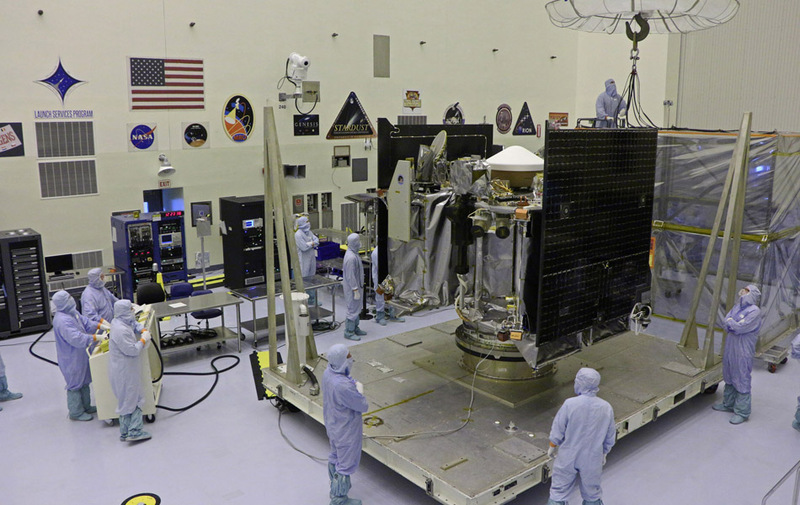 May 23, 2016 – NASA’s first spacecraft designed to return a piece of an asteroid is beginning final preparations in advance of its September launch aboard a United Launch Alliance Atlas V 411 rocket. On May 20, Lockheed Martin delivered the OSIRIS-REx spacecraft to the Kennedy Space Center in Florida. OSIRIS-REx, which stands for Origins, Spectral Interpretation, Resource Identification, Security-Regolith Explorer, is scheduled to launch on September 8, 2016. The spacecraft’s target is Bennu, a carbon-rich asteroid that could hold clues to the origin of the solar system and host organic molecules that may have seeded life on Earth. It will collect at least 60 grams (2.1 ounces) — about the weight of a full-sized candy bar—of pristine asteroid material and return it to Earth for analysis. Lockheed Martin designed, built and tested the spacecraft and is responsible for spacecraft launch processing and mission operations. While at Kennedy, the spacecraft will undergo final testing and configuration for flight including propellant loading. After launch, the OSIRIS-REx spacecraft will take two years to reach Bennu, arriving in late 2018. It will then spend over two years conducting surface mapping and sample site reconnaissance before collecting a sample in 2020. The spacecraft will return the pristine sample of Bennu back to Earth in 2023.